Hoseasons have the largest choice of top quality holiday lodges in both the UK and Channel Islands. Both coastal and countryside locations and from small clusters of holiday log cabins and cottages in peaceful rural settings to village style resorts of holiday lodges, Hoseasons lodge holidays are perfect for romantic breaks and countryside escapes at any time of the year. With over 160 holiday lodge UK locations (including the Channel Islands!) you'll find the perfect place to suit you. Choose from larger developments of holiday log cabins and cottage style properties with great facilities (including indoor pools, gyms and the latest in beauty and spa treatments) or romantic little holiday lodge hideaways with four poster beds and private hot tubs. For the ultimate in luxury, have a look at our Autograph range of VIP lodges. Our Holiday Lodge pricing is based on a weekly stay but long weekends are also possible at most of our Hoseasons lodges with minimum stays of 3 or 4 nights available. 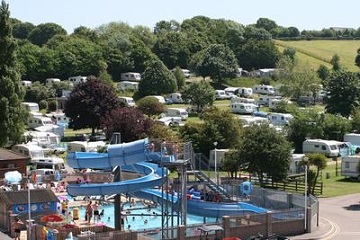 For the largest range of holiday parks in the UK by far, look no further! Hoseasons holiday parks offer great family orientated self-catering accommodation and facilities, kids clubs, evening entertainment, restaurants and indoor & outdoor pools - including caravan parks and holiday parks in the some of the UK's top resort areas with top attractions close by. For action packed fun-filled and activities look no further than Hoseasons holiday parks - in fact you're sure to so much to do at your holiday park you won't want to leave the site! UK holidays and short breaks are available in all of the country's most popular holiday spots - including the best in great value caravan parks, holiday parks with lodges, caravans and chalet style accommodation. Hoseasons offers the widest choice of choice of holiday parks in the UK - you simply won't find a better range of holiday and caravan parks anywhere else. Our Holiday Park pricing is based on a weekly stay but long weekends are also possible at most of our Hoseasons parks with minimum stays of 3 or 4 nights available. There is possibly not a single person in the United Kingdom who hasn't headed to one of the many hundreds of holiday parks dotted around the country, whether it is in Cornwall, Devon or perhaps a bit further up North. It seems to be a bit of a 'right of passage'. Of course, with travel becoming cheaper, there are more and more foreign nationals that are also using holiday parks in the United Kingdom. So what do these holiday parks compromise of? Let's take a little look. Generally, there a couple of types of holiday park out there. The majority of them are dedicated caravan parks. This means that there are 'static caravans' all over the park. These caravans will all have a different berth. This simply means the amount of people that will be staying within the caravan. 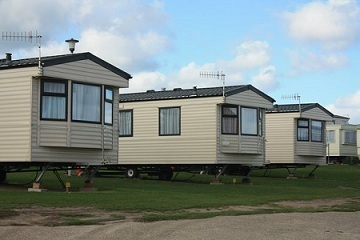 Some of these caravan parks will enable you to take pets, although not all of them will do, so it is worth checking in advance if this is the case or not. In addition to this, there are a few caravan parks (although they are few and far between) which will allow you to take your own caravan or tent and still be able to enjoy all the facilities which you wouldn't get from a traditional campsite. The majority of the holiday parks throughout the United Kingdom have been built around major tourist resorts. This of course has meant that the majority of them have been built along the coast where sun, sea and sand are just a short hop away. The ones that have been built near the centre of the country have been located close to major cities and towns, which mean that you are never going to be too far away from something exciting to do. Recreational Activities, such as swimming, football, tennis and other activities designed to get you active. There are a few holiday parks which are also surrounded by fantastic walking areas, perfect if you are taking your pet on holiday! Children's activities. The majority of holiday parks throughout the United Kingdom offer a huge selection of activities for children. This includes the 'standard' children's club as well as numerous activities throughout the day, all designed to give your children one of the best holidays of their life. Bars and restaurants. This seems to be a pretty standard feature amongst caravan parks nowadays, whilst it may not exactly be gourmet cuisine that you are going to be eating, but it certainly will be good traditional British fare. Holiday parks are incredibly popular throughout the United Kingdom. Just choose an area that you would absolutely love to go and visit and then take a little look at the facilities on offer. You will be surprised at just how much fun you can have right on your own doorstep, and for a much cheaper price than if you travelled abroad! Lodge holidays are becoming increasingly more popular throughout the United Kingdom, especially for those that live in the cities. They are becoming a great way to escape from the hustle and bustle and take a holiday in some of the most tranquil locations in the country, although some of the holiday lodges here also include a bit of that 'British Holiday' feel. When you decide to go on lodge holidays in the United Kingdom the chances are you will be staying in beautiful log cabins. They are available in a variety of sizes, depending on the amount of people that you are looking to bring. The majority of lodges will allow you to take pets, but it is worth asking beforehand. These lodges really are a 'home away from home' and include everything that you would normally associate with your own house. This includes large televisions, Wi-Fi access, microwave etc. It will also, of course, have standard stuff such as electricity and hot water. If you are staying in one of the more expensive holiday lodges then you may even get an indoor Jacuzzi or outdoor hot tub, which are becoming more and more commonplace. It is worth checking the provider of lodge holidays to see what facilities they have, because they do change from time to time. The majority of lodge holidays are going to be located in a fairly tranquil location, often in the heart of some of the most beautiful national parks in the country. You will be surrounded by incredibly beautiful scenery, and generally speaking, you will be secluded from the other lodges that surround you. This means that the rest of the 'facilities' in the area are going to be fairly basic and include nothing more than a children's play area and a shop. Some holiday lodge parks offer a number of activities in the area; this includes horse riding, tennis and other general 'outdoor' activities. However, it is certainly worth checking where you intend to go. It shouldn't matter too much about this however, as normally when people want to go on lodge holidays, they do so to escape. There should be plenty to do around the local area, including fantastic villages to visit, and beautiful walks to go on. It truly is relaxing. Swimming; tennis courts; football pitches etc. There are plenty of places where you can take lodge holidays throughout the United Kingdom. It is worth looking into areas that you would want to go to and work from there. Don't forget to bear in mind the sort of location you want to stay in, i.e. do you want it to be tranquil, or would you prefer the hustle and bustle of a holiday park? No matter where you decide to go, you can be sure that this is going to be one of the best holidays of your life. That's right! Hoseasons have so many special offers currently running for 2019 holidays that we can't list them all here! Please click the banner for more information. Site Description This enviably located park sits just a short walk from Sandymouth Bay in an idyllic setting amidst 24 acres of beautiful rolling meadowland only 15 minutes drive from Bude. Boasting a wealth of child-friendly facilities Sandymouth is a firm favourite with families seeking to relax in glorious North Cornwall. With something to suit everyone an indoor heated pool bar restaurant crazy golf and an adventure play area featuring a full-size pirate ship are among a superb array of amenities at hand. Rich in golden beaches bustling seaside resorts picturesque fishing villages rugged coastal scenery and contrasting gentle inland countryside this ’ - Area of Outstanding Natural Beauty’ - has much to offer any visitor. Popular Bude hosts watersports and leisure attractions aplenty. Site Description Enjoying a beautiful setting within walking distance of the coast this large park sits in 100 acres of delightful parkland. Site Description Enjoying an enviable location this park sits opposite a long stretch of dune-backed Blue Flag golden beach. Boasting a vast array of facilities with something to suit everyone this is an ideal choice for a seaside family holiday to remember. You’ - ll be spoilt for choice at Golden Sands. The heated indoor and outdoor swimming pools offer hours of splashing fun for all while a fishing lake* multi-sports court go karts* and kids clubs are just some of the all-weather activities available. *Charges apply. Site Description Enjoying a spectacular hillside setting sweeping steeply down to Sandy Bay with direct access to the sandy beach Devon Cliffs boasts wonderful views fantastic facilities and something to suit everyone. Superb activities are on hand for children of all ages and once the sun goes down the pace hots up with an array of fabulous entertainment the whole family will enjoy – - everything you need for an unforgettable fun filled holiday. Conveniently situated for exploring the Devon coastline Exmouth is nearby and Exeter is within easy reach. The Woodlands Leisure Park at nearby Dartmouth is the UK’ - s biggest indoor adventure centre while Crealy Adventure Park with its rollercoasters go karts and bumper boats is just 11 miles away. Site Description With its stunning location overlooking Kennack Sands beach Sea Acres is on The Lizard Peninsula in a designated Area of Outstanding Natural Beauty – - just the spot for an unforgettable holiday. Plus you can wake up to one of the most spectacular coastal views in the South West because many holiday homes boast private balconies! The park offers loads of facilities for everyone from a fabulous indoor heated pool to a 5-star PADI diving school! Kids will love the fun of our free clubs together with a fantastic adventure playground and lots more. In the evening you can dine alfresco on the terrace or tuck into a delicious meal in the Breakers’ - Bistro before sitting back to enjoy the live entertainment in the family clubhouse. Page generated in 1.5913 seconds.